Mackerel is a fish of the same family as tuna. But it is way less expansive (only 6 euro for 1 kg), it is very rich in omega 3, and absolutely delicious. The first time I bought it I was very scared by the smell, which seemed too strong for me! But believed me, once cooked it tastes very good. When it’s time for dinner, put a no-stick pan on a high heat to get really hot. In the meantime chop some parsley together with 1 clove of garlic, very finely. 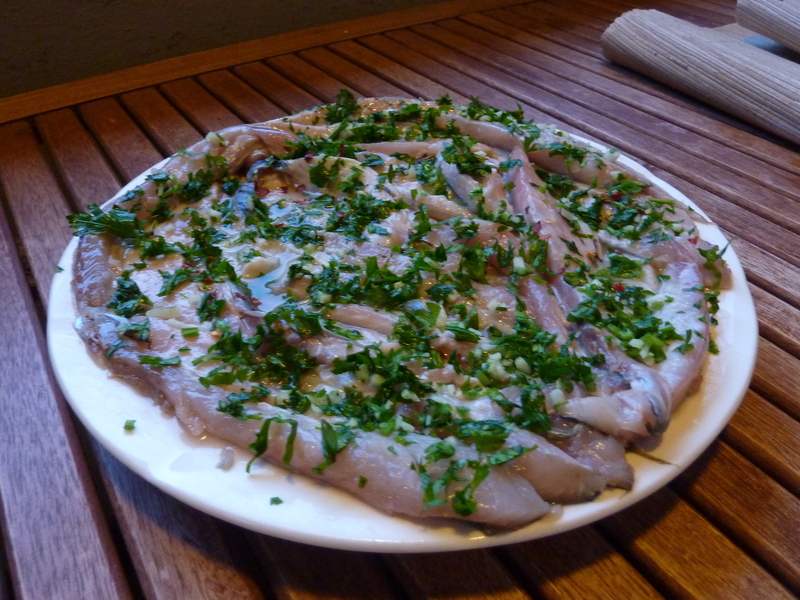 Put the parsley-garlic all over the fish, sprinkle some chilly flakes and salt to taste. Put the fish skin-side down on the hot pan and cook until the skin is crunchy and the fish is cooked. 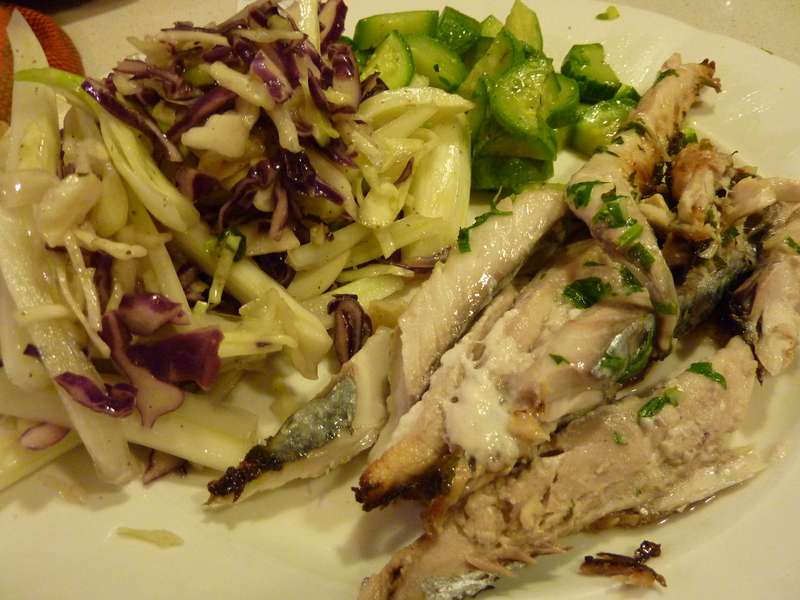 I served with cabbage and fennel salad. salt, lemon, black pepper and olive oil to taste!